There’s so much to explore in DC. It makes you wonder how they ever fit all this stuff into our little district! Neighborhoods, historical sites, monuments, government buildings, rivers, parks… you know, just to name a few. But chances are, you haven’t seen them the right way. Whether you’re a DC newbie or you’ve become underwhelmed by your own neighborhood, the best way to explore our great city is by putting one foot in front of the other. And taking walks not only gives you a chance to connect to the city, but it’s also a great way to get some fresh air, stretch your muscles, and do some cardio! Get up and get moving with these unforgettable walks around our nation’s capital. 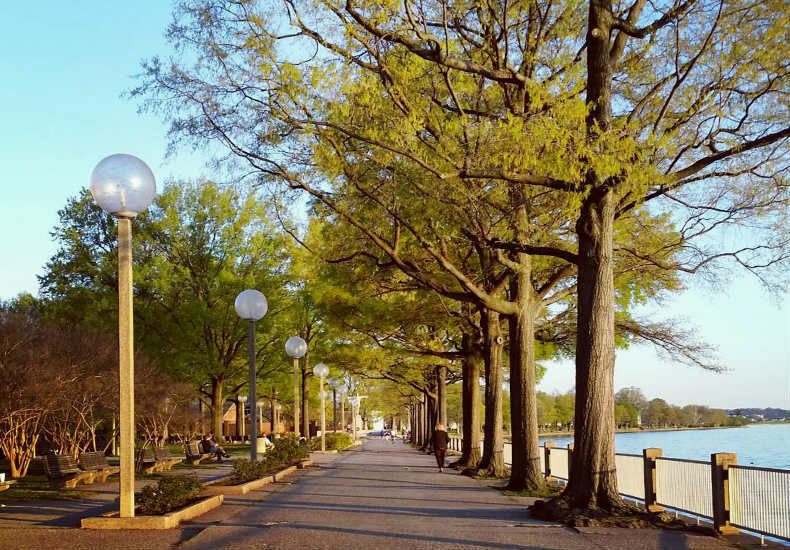 The Anacostia River is the oft forgotten river in DC, but strolling the riverwalk is a great way to introduce yourself to the river and its surroundings. If you stay on the north side of the river, you’ll pass by a number of hotspots, including the Navy Yard, Nationals Park, Buzzard Point, the Titanic Memorial, and the Maine Avenue Fish Market. Stumbling upon foreign embassies is just one of the unique parts of living in DC. But if you’re looking to find a cluster of embassies (and are in need of a quiet walk where you can gawk at elaborate and to-die-for real estate) head to Embassy Row in NW! Many (but not all) of the embassies are located on Massachusetts and New Hampshire Avenues. To start this walk, begin at Dupont Circle and head north on either of those roads. You’ll be able to call yourself more cultured by the end. If you’re feeling patriotic, head to the National Mall. There, you can stretch your legs and your mind! 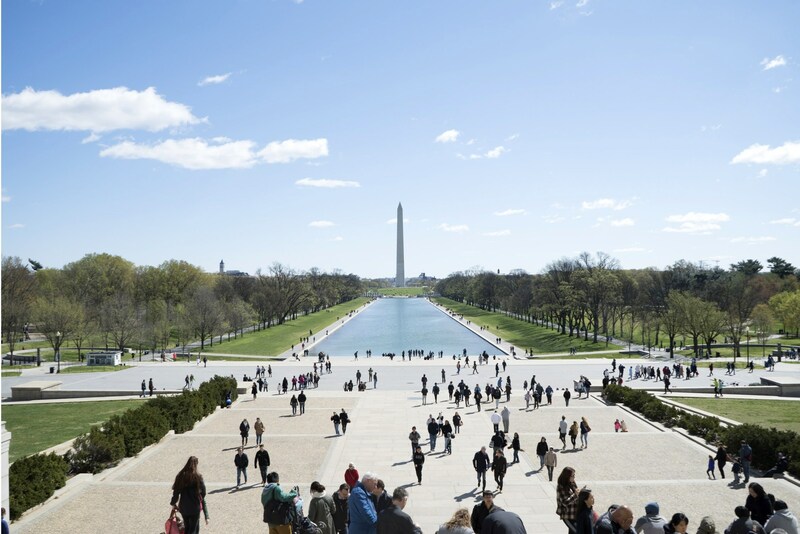 The 2.3-mile trek from the Lincoln Memorial to the United States Capitol will take you past monuments, memorials, statues, historical buildings, museums, and more! What better way to spend an afternoon than with a cardio workout and a U.S. history lesson. Craving scenic water views? Veer down towards the Tidal Basin for some Instagram-worthy shots. 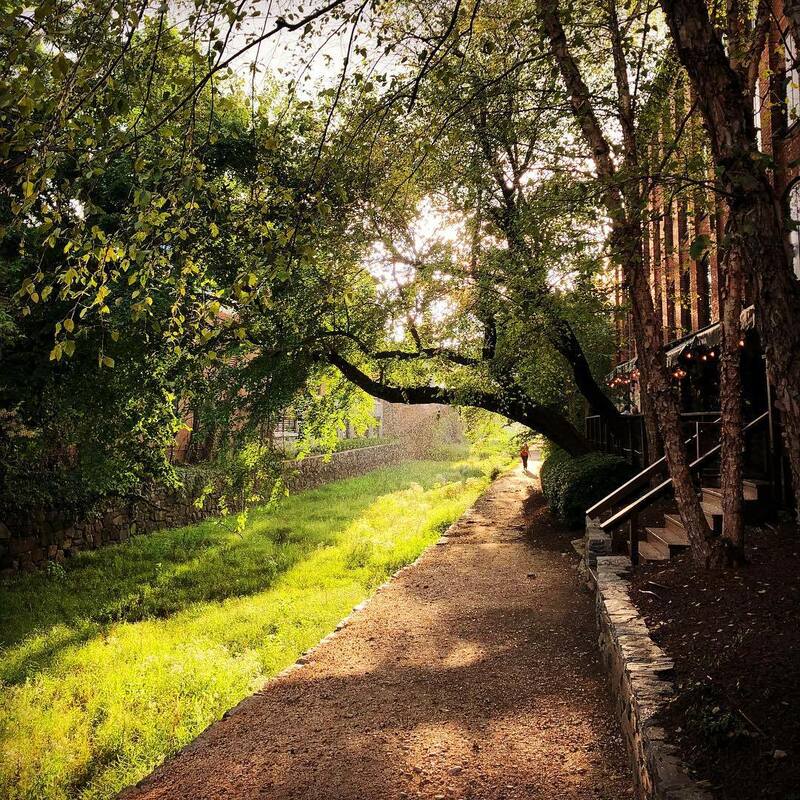 This is a walk that could easily turn into a coffee pit-stop, a brunch date, a shopping trip, or a patio happy hour! The 14th Street neighborhood in NW is a hot and hip neighborhood. It’s brimming with local restaurants, coffee shops, gyms, consignment shops, and boutiques and asking to be explored. Whether or not you make any stops, the hustle and bustle of the neighborhood will give you life and a new perspective on the U Street Corridor. 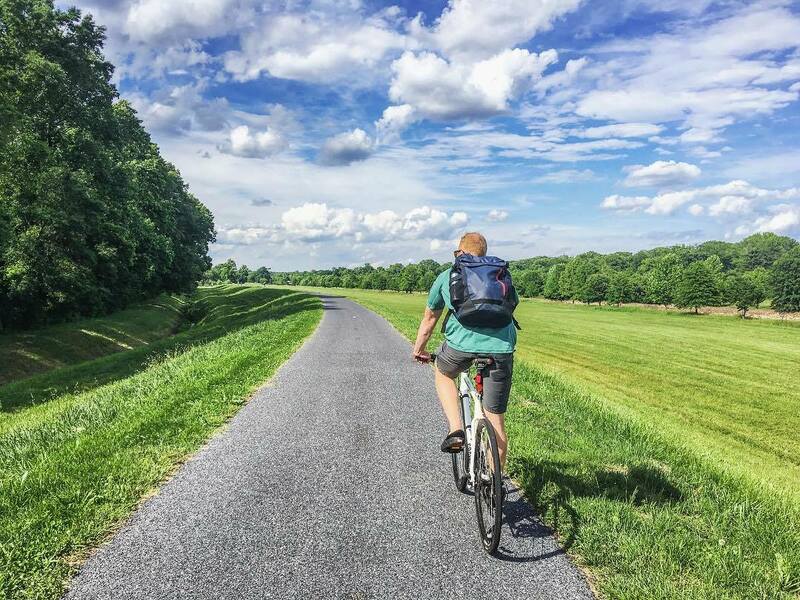 Part of this 710-mile trail passes right through DC… and most locals know it as the C&O Canal Towpath. Walkers love it because it’s a well-maintained path with scenic and historic views. You’ll walk along the water, underneath old bridges, next to historical structures and on top of tree-lined paths. It’s a true escape from the city, right in NW! 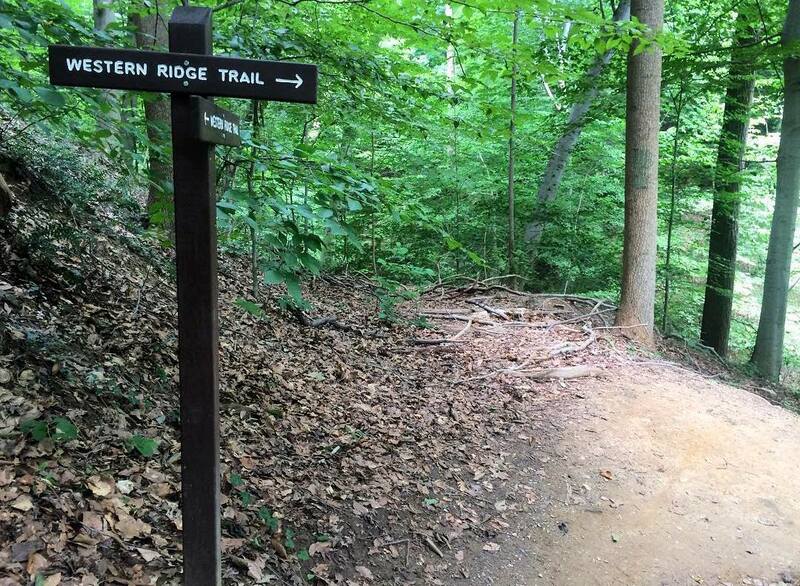 Serious walkers and nature lovers need not overlook this ol’ dirt path in the middle of Rock Creek Park. Hop on the Western Ridge Trail just north of the intersection of Beach Drive and Paint Branch Parkway NW. If you take it all the way to the end, you’ll just have tackled 5 miles of trail. If you’ve brought enough snacks and water for the long-haul, do a round-trip! 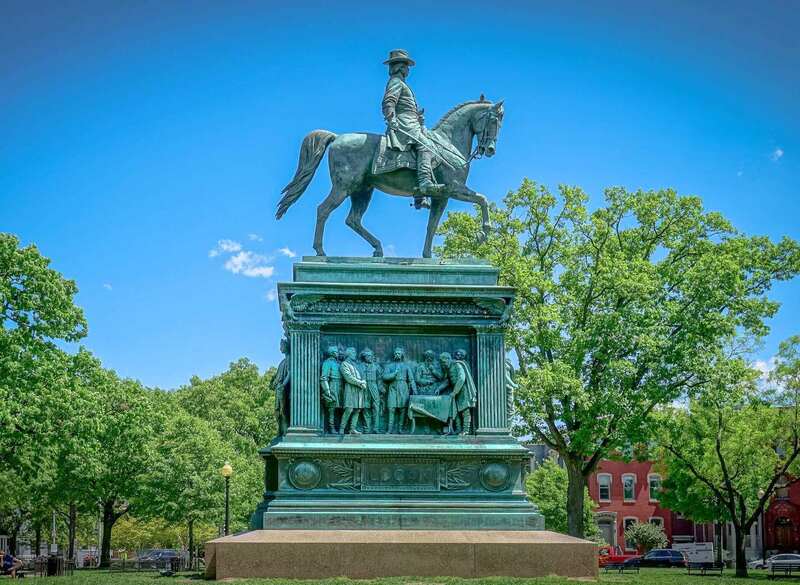 We all know about the monuments and historical markers down by the National Mall, but did you know there are little nuggets of history planted all around smaller DC neighborhoods? We’d like to introduce you to the Neighborhood Heritage Trails. Set out on any of the 20-mile trail – all of which give walkers insight into times and neighborhoods past. Choose a trail, find the illustrated signs along the path, and feel your mind expand (while your heart rate increases)! 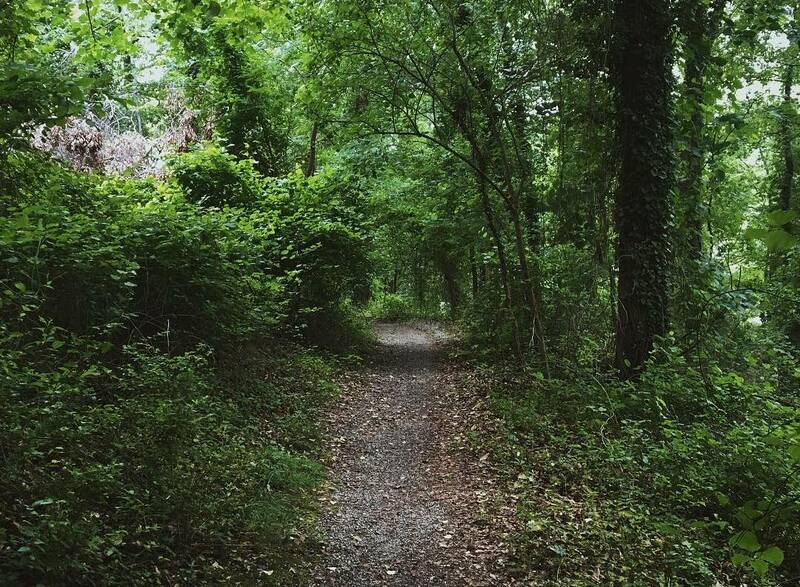 You’ve probably never heard of this 7-mile trail that takes you from SE to NE DC, but it’s time to add this route to your walking repertoire. Explore several Civil War-era forts in DC (like Fort Stanton and Fort Mahan) along this scenic and natural-surface path. Throw on those walking shoes and get ready to party like it’s the 1860s again!? Does the address “1600 Pennsylvania Avenue” sound familiar to you? It’s just the address of a big white house in the District. 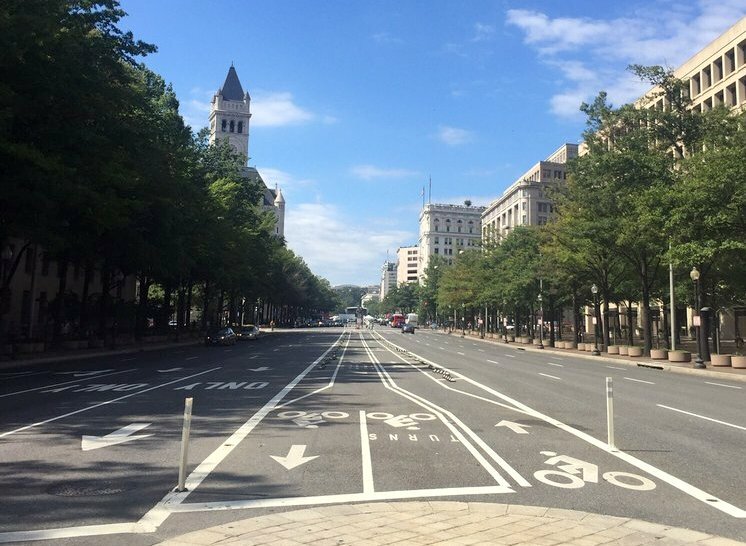 But a walk down Pennsylvania Avenue is defined by so much more than that. If you start at the White House and head southeast, you’ll walk through Penn Quarter, past the United States Capitol, and through the quaint streets of the Capitol Hill neighborhood towards Eastern Market. 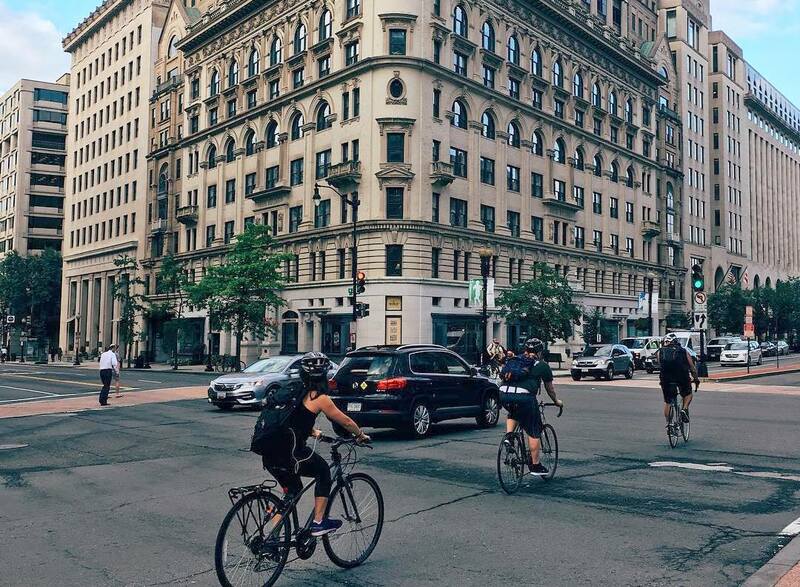 This part of the city is so much more than federal buildings and Hill staffers. 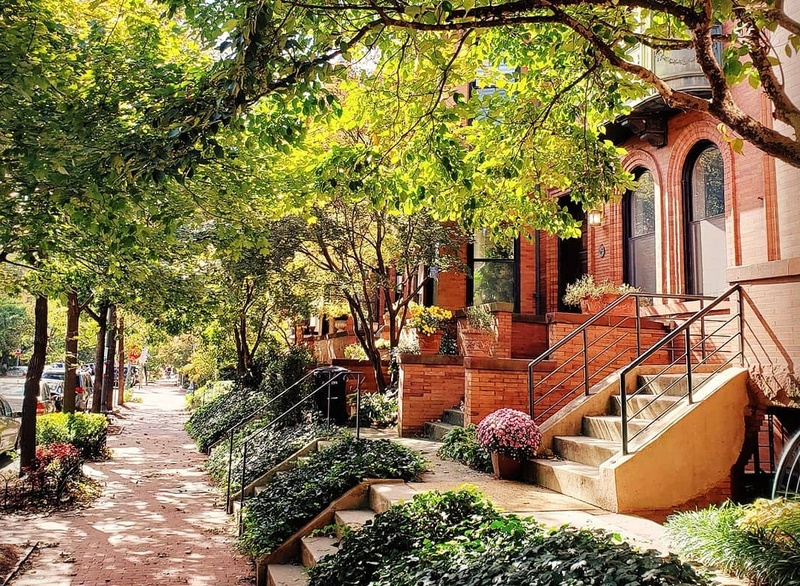 Take in the row houses, cobblestone sidewalks, and tree-lined streets! Explore two proud DC neighborhoods (and a few notable landmarks) in one afternoon stroll. 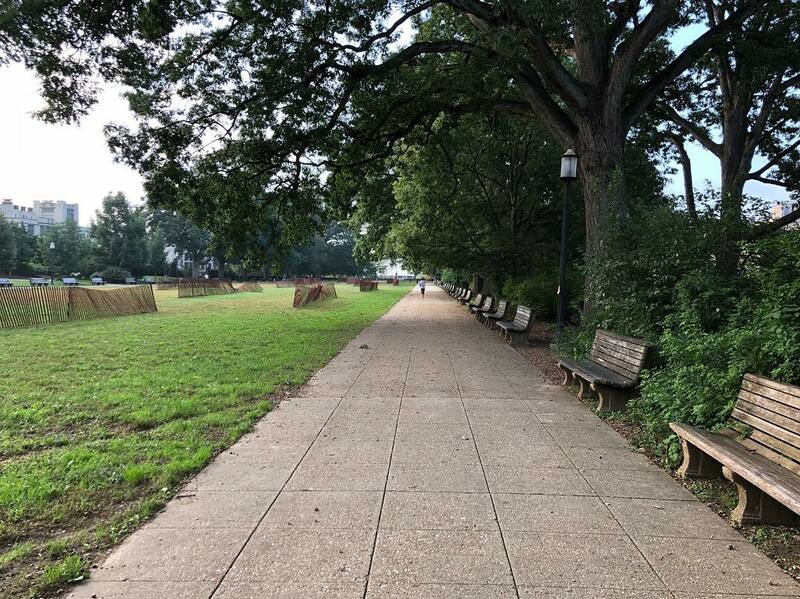 To tackle this Cleveland to Woodley trek, start near the Cleveland Park metro and go south on Connecticut Avenue. 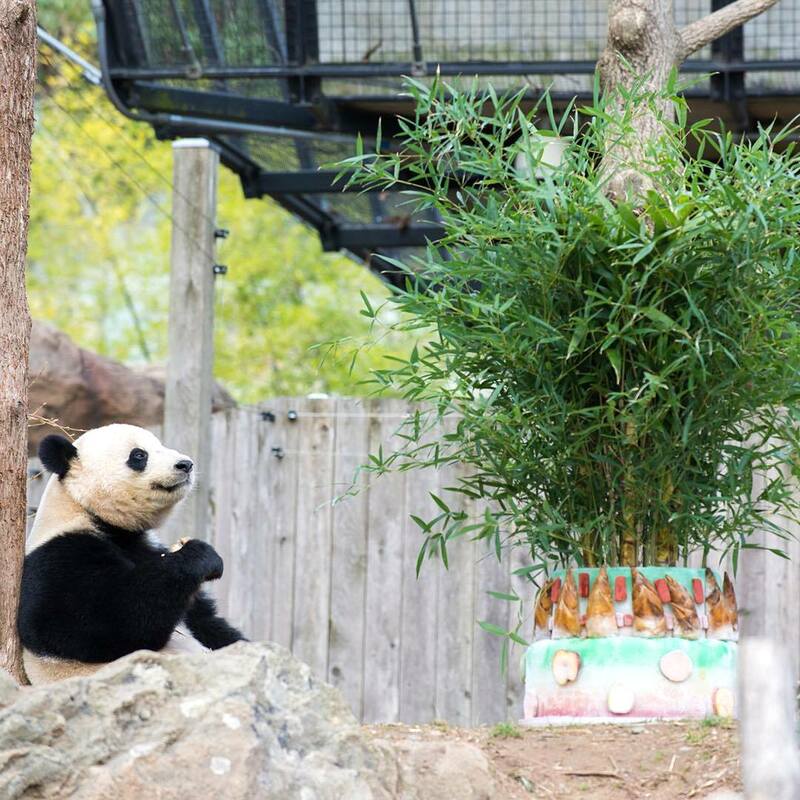 Make a loop through the National Zoo and continue to the Woodley Park neighborhood. And for stellar views, take a trip over the Taft Bridge, an ornate and historic bridge (construction of the bridge began in 1897) that carries walkers right over Rock Creek Park. Do yourself a favor and stop in the middle of the bridge to look over the park and its blossoming canopies – arguably one of the best views in the city! This middle-of-the-city oasis is a welcome green retreat for those in the Adams Morgan/ Columbia Heights/U Street neighborhoods. The north part of the park is a flat, tree-lined grassy space, with cement paths for walking. But to get down to the south side, you’ll need to fire up the glutes to take on some stairs (believe us, going down is better than going up!). The lower, southern part of the park has a massive, stories-tall water fountain, statues, and plenty more green space. 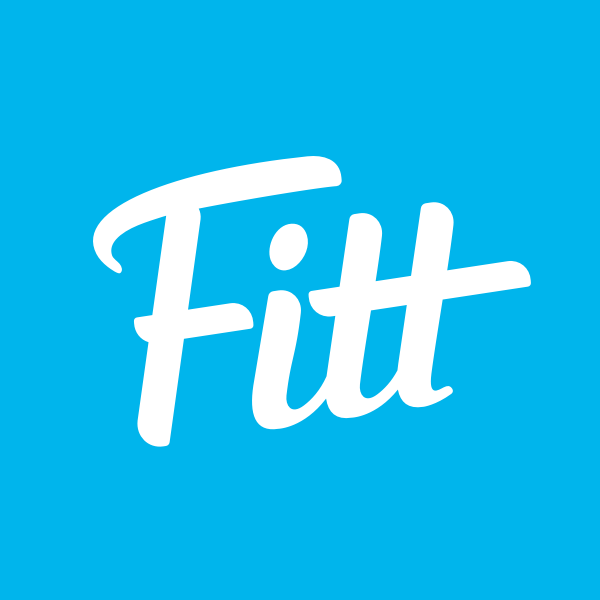 Fitt tip: Meridian Hill (known to some, unofficially, as Malcolm X Park) is perfect for a post-brunch or post-coffee date stroll.